Armstrong/Kahn Award – Richard L. Parli, MAI, and Norman G. Miller, Ph.D.
Richard U. Ratcliff Award – Chris Mothorpe, Ph.D., and David Wyman, Ph.D. Veteran appraiser Don Gossman, SRA, shared his experiences as a part of a team that investigated a mortgage fraud ring in Kansas City, Missouri, which involved 61 properties worth $16.9 million and caused losses of $6.3 million. The case resulted in nine people pleading or being found guilty. Gossman also shared his knowledge on the importance of compliance and standards in the valuation profession. Congratulations to This Year’s Prize Winners! 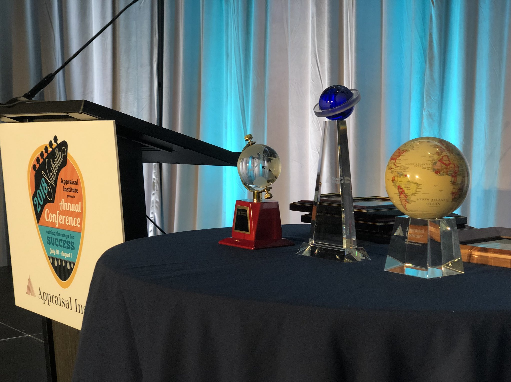 Winners of the Hall of Fame Game Card contest will receive exciting prizes, including registration for next year’s 2019 Appraisal Institute Annual Conference in Denver, Colorado. Winners will receive their prizes via mail. Annual Conference attendees who pre-registered will play a round of golf this afternoon at Gaylord Springs Golf Links, which has been recognized among GolfWeek’s best courses to play in Tennessee. Transportation will depart from the JW Marriott’s main entrance promptly at noon, so don’t be late! Check your email in the next day or so for a survey asking your impressions of the 2018 Appraisal Institute Annual Conference. You’ll have the chance to comment on your favorite parts of the event, and to suggest changes. Please be sure to complete the survey – and help make next year’s conference even better. 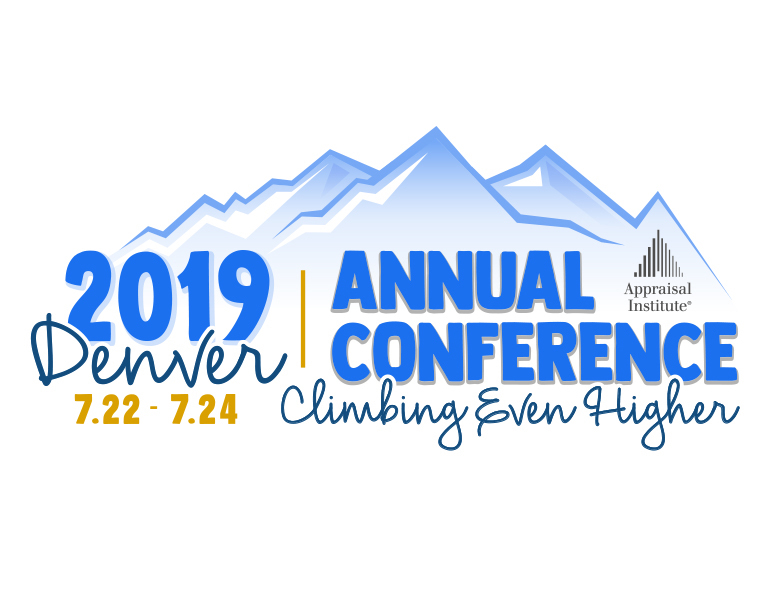 Save the date for the 2019 Appraisal Institute Annual Conference: July 22-24 in Denver, Colorado. The Mile High City’s thriving downtown and beautiful natural surroundings are sure to be a great place for the valuation profession to come together for networking, education and fun. The event will take place at the downtown Hyatt Regency, within walking distance of restaurants, shopping, sight-seeing and all the fun Denver has to offer.